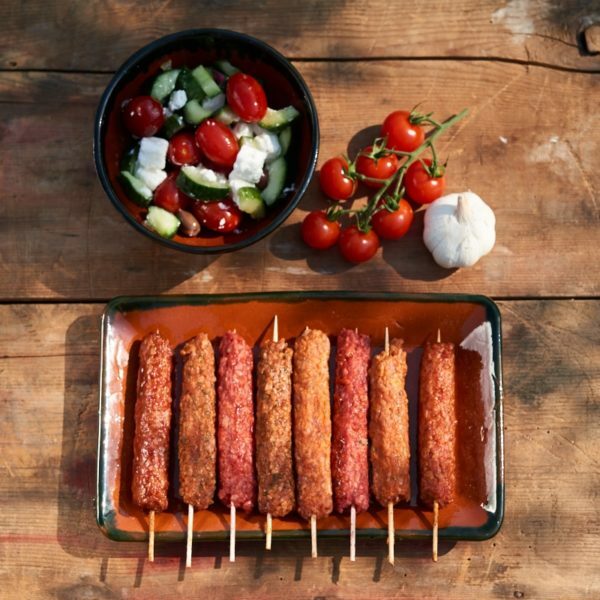 Grillsticks are a delicious mix of minced pork and beef moulded onto skewers ready for the BBQ. They come in four different flavours – Moroccan, aromatic Thai, smokey BBQ and Chinese spices – and a grillsticks pack includes a mixed selection of the flavours. Beef (62%), Beef Fat, Beef Blood, Water Rusk [WHEAT Flour, Ammonium Bicarbonate (E503ii)], Seasoning [Salt Rusk (WHEAT Flour, Salt), Flavourings, Spice, Preservative (E221 contains SULPHITE), Flavour Enhancer (E621), Colour (E120), Sunflower Oil, Acidity Regulator (E331(iii)), Antioxidant (E301)], Pepper, Salt.